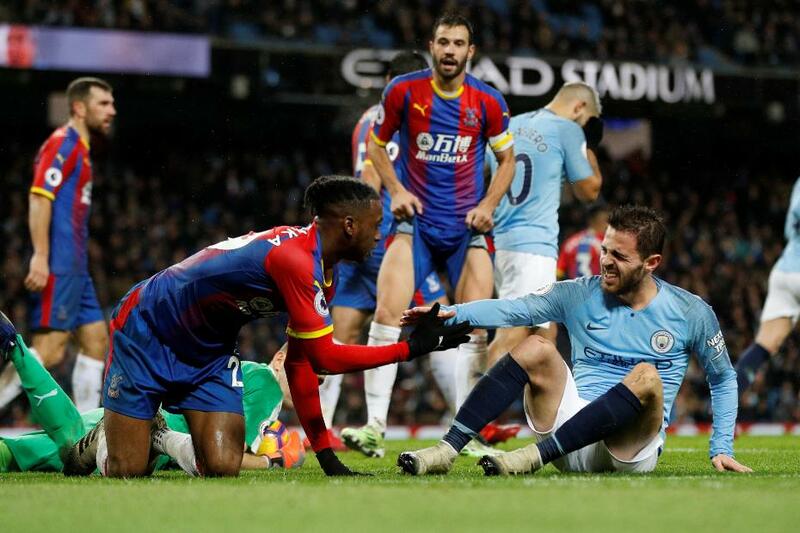 Crystal Palace pulled off one of the shocks of the season with a 3-2 victory at Manchester City on Saturday, a result which was built on a superb team showing. At the heart of that resolute win was a magnificent display by Aaron Wan-Bissaka, who gave his "best performance in a Crystal Palace shirt," according to Alan Shearer. Shearer has been impressed by the Eagles' Academy graduate all season but on Saturday felt he reached new heights and therefore included him in his Matchweek 18 Team of the Week. The Watford goalkeeper more than played his part in keeping a clean sheet with a series of fine saves. The full-back has had a great season but this was his best performance in a Crystal Palace shirt. The Eagles defended resolutely but the 21-year-old kept Leroy Sane quiet and was their standout player. A towering display again and a goal. It seems like the Dutchman is in the Team of the Week every week! The centre-back was awesome in helping his side earn three unexpected points at Man City. Another top performance from the full-back helped the Foxes shutout Chelsea at Stamford Bridge. Two fantastic goals for AFC Bournemouth's summer signing. He is having an impressive breakthrough season. The midfielder gave a commanding display in midfield against West Ham. Wow! He struck a goal of the season contender and worked tirelessly for the team throughout. What a superb season he's having. Son showed great speed and awareness for his two goals and set up another. Aubameyang can't stop scoring. Two more goals from the Premier League's top scorer. Kane loves scoring against Everton and did so again at Goodison Park. He has helped Spurs play their way into the title race. Beating the champions on their own patch takes some doing. Hodgson deserves enormous credit for masterminding a well-organised victory.